Remove cap to insert bait. Insert the bait of your choice in the bait reservoir (peanut butter is suggested). Press the trap open. You will hear a “click” when set. 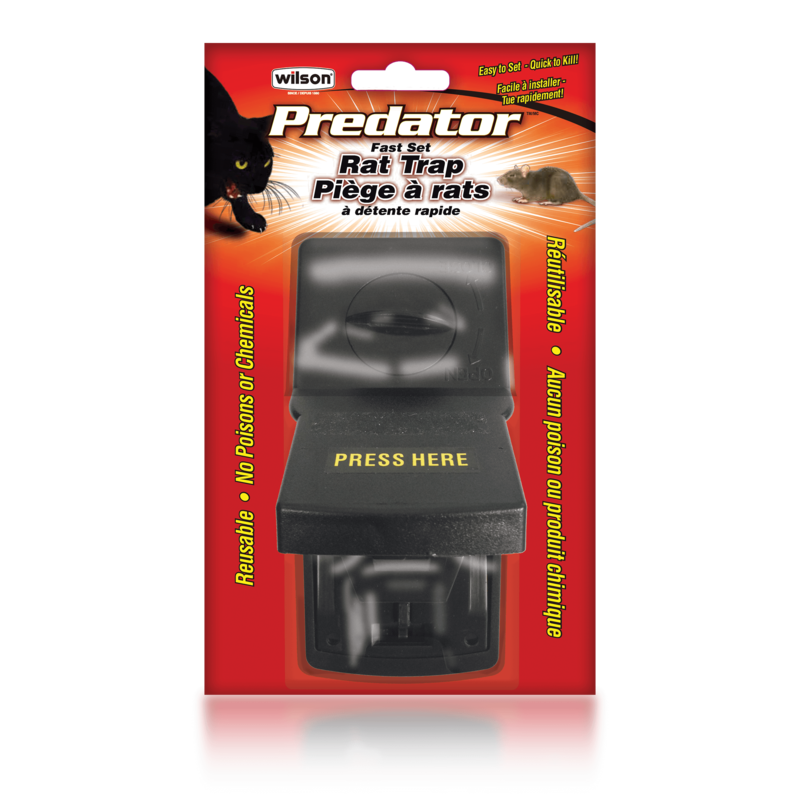 Place trap perpendicular to wall with bait reservoir facing the wall. After rat is caught, open trap to release rat into trash. No Need to Touch Dead Rat. In problem areas, preferably near a wall. Rat traps require significant force to be effective. Read labels carefully before using the product.